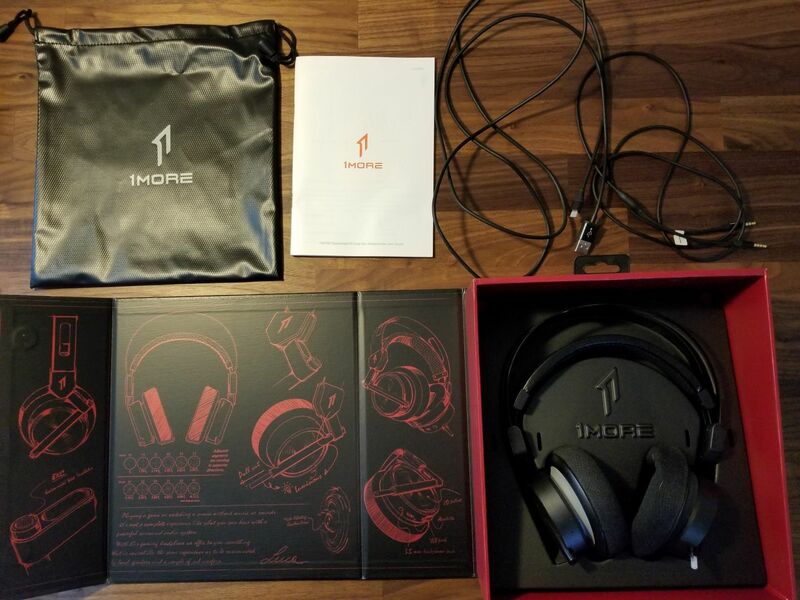 I recently had the chance to try out the Spearhead VR Gaming Headphones, which were graciously sent over by the folks at 1MORE. While the Chinese company is primarily known for producing a range of excellent (and budget friendly) in-ear headphones, the Spearhead line marks their first attempt at catering to the gaming market. Having now spent some time with the product, I can say that the headphones are a very solid first attempt, despite a couple annoyances. The package itself includes the headset, a nice bag in which to put everything for gamers on the go, and two ways to connect to your device of choice via a USB or 3.5MM cable. USB is the recommended choice as it allows you to access both the microphone and the headset’s customization software, but the 3.5MM is a nice addition in case you want to listen to something on your phone or console. Keep in mind, though, that using the 3.5MM cable in any situation will be a listening-only experience, as you won't have a way to broadcast your voice. Setup on PC wasn’t necessarily frustrating, but the process took a bit longer than it should have due to an instruction manual that is both light on details and has not received the best translation into English. 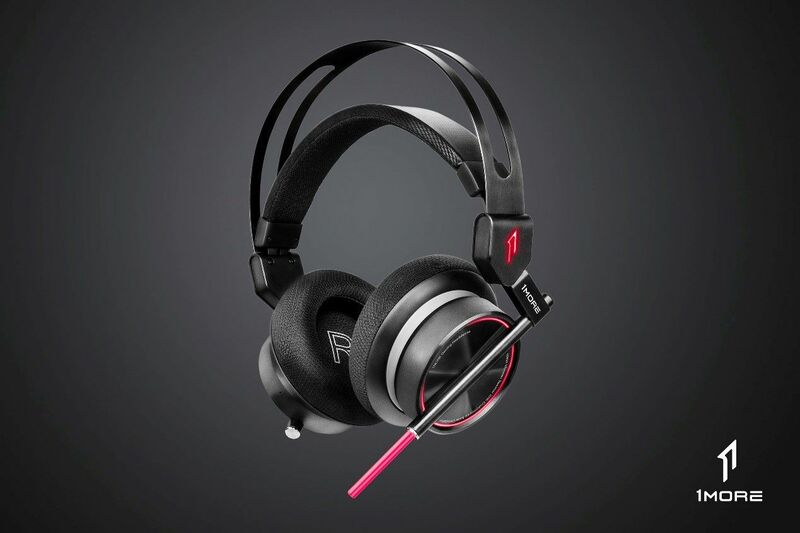 The headset itself offers a sleek, mostly black design with circular lighting options on the outside of both earcups as well as an extendable, internally lit “microphone” pipe on the left earcup. Curiously, the microphone itself has nothing to do with the pipe and is actually located through a pinhole in the right earcup. More on that later, though. The lighting options allow you to pick a color and determine the frequency of its pulsing (from a static color to a relatively quick “heartbeat”). It’s certainly not the most robust of customization options, but as someone who generally prefers low-key, minimal hardware, I found myself appreciating the fact that I wasn’t broadcasting a light show as I gamed. The headset is also quite comfortable, with the padded headband and earcups making long-term use much more viable than headsets I’ve used in the past. While I definitely grew very aware of the headset over the course of longer sessions, it didn’t bring the same painful discomfort I’ve grown wary of. I am by no means an audiophile, but I found the Spearhead fully capable of handling every type of in-game audio I could think of. Both quieter moments and chaotic action sequences sounded good through the headset’s 7.1-channel simulated surround sound. Everything felt distinct and relatively placeable in a 3D environment, although obviously not quite as much as true surround sound. Explosions and gunshots in particular sounded full, powerful, and in-your-face (or ears). Listening to music provided a slightly more middling experience for me, but was still of a high enough quality to justify using the headset as a primary device. The full spectrum of frequencies was mixed well, and nothing was especially overbearing. Unfortunately, my biggest complaint was in regard to the microphone. Using the pinhole severely hampered voice quality, and I occasionally found myself looking to other options when broadcasting on Discord. You definitely won’t come through as a garbled mess, but for those playing co-op games filled with strategic chatter, clarity is extremely important. It’s a disappointing setback given the price of the Spearhead and makes the headset a little tougher to recommend, especially on a co-op focused site. If you already have a setup for broadcasting your voice, such as a standalone mic, the Spearhead offers a solid upgrade on sound quality at a good value. At the time of review, the headset will run you about $130, which is quite a bit cheaper than the SteelSeries Arctis Pro's $180 and the Astro A20's $200 price points. 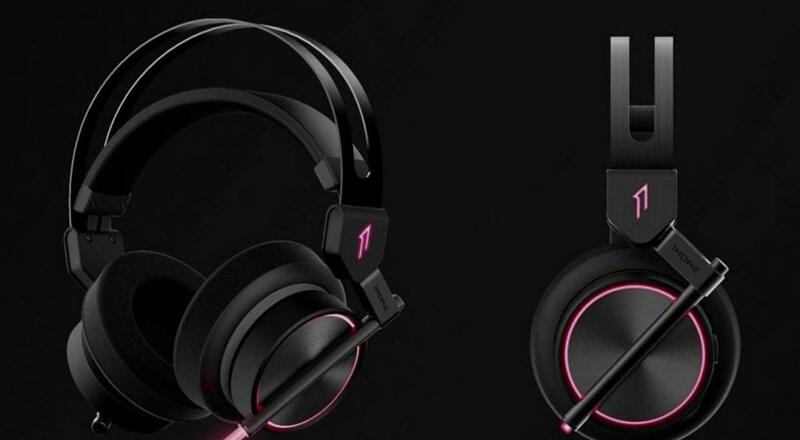 However, if you’re constantly playing online games and need a single headset to satisfy all your needs, other options will likely provide upgrades that align more closely with what you’re looking for. Overall, though, the Spearhead is a good start from a company that clearly knows what they’re doing in terms of providing clear, powerful audio at non-exorbitant prices.